Factory direct wholesale accounts. Set up your account today! See how our products perform in the lab and in the field. Discover the benefits of switching to synthetics and why AMSOIL is the technology leader. Tracks maintenance records, emails alerts & much more. Products are shipped nationwide from the closest US or Canadian warehouse. Synthetic lubricants have become the preferred choice due to its inherent chemical stability to withstand extreme stress, shock loading and temperatures. Properly formulated synthetic lubricants can provide far greater wear protection than conventional mineral oils. AMSOIL is the only company in the world to own trademark rights to "The First in Synthetics". AMSOIL is also the first in quality, protection and performance. Since the early 70's AMSOIL has been the pioneer in manufacturing the world's best synthetic lubricants. AMSOIL product offerings range from small engine applications to heavy industrial lubricants. 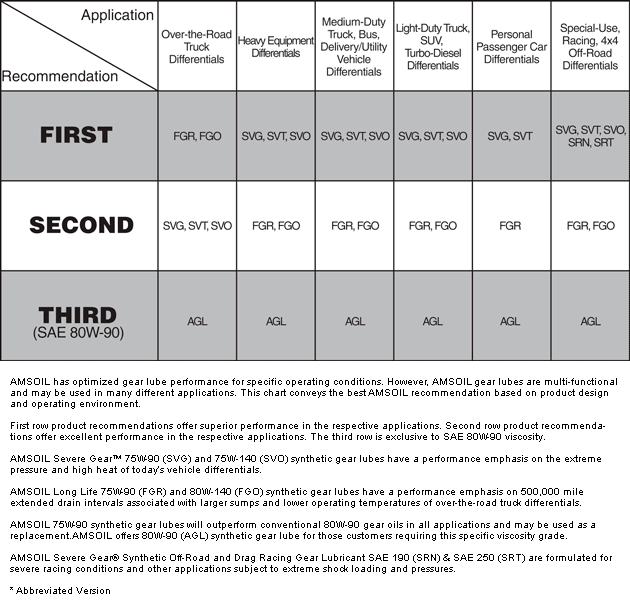 Based on AMSOIL's success in synthetic lubricant technology, every other conventional motor oil manufacturer followed by introducing their own synthetic line up. However, it is important to know that not all synthetic lubricants are manufactured equally. The truth is that, almost all of the manufacturers use petroleum base oils in their new and innovative synthetic lubricant line up! To make things more complicated for the consumers, a court ruling was awarded making it legal to use Group III Hydroisomerized petroleum base oils and still label the end product as 100% synthetic motor oil. Group III Hydroisomerized oil is a highly refined form of petroleum oil, yet plagued with their inherent drawbacks that made synthetic base oils better in the first place. Today, the market place is literally filled with substandard synthetic motor oil products. Consumers who buy these products with high expectations driven through multi-million dollar advertising campaigns and race sponsorships, end up with disappointments. It is for this reason that most synthetic oil label doesn't indicate extended drain recommendations or their "ability to do more" than a regular motor oil. Synthetic motor oil market is cluttered with products, claims and marketing hypes. But no company in the world can deliver performance or match AMSOIL's technological know-how or the quality base oils and additives that goes into each bottle. 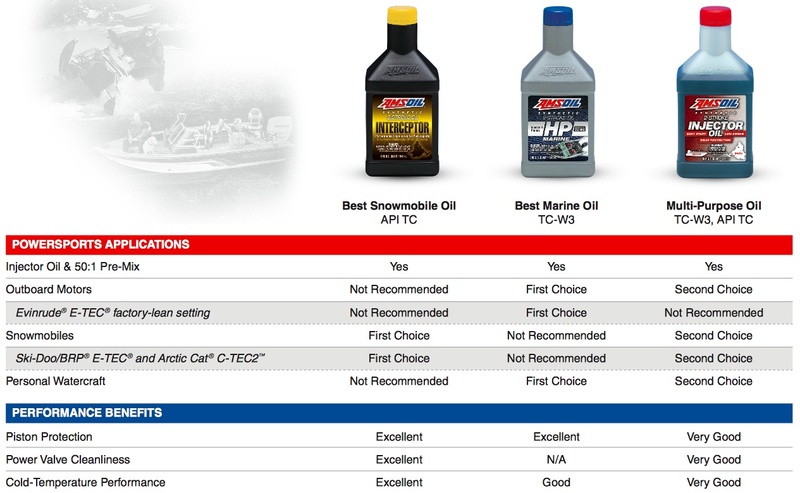 In fact AMSOIL is the only company to publish "Comparative Motor Oil Test Results" to the public as an evidence that no company matches with AMSOIL technology & experience as a synthetic lubricant manufacturer. Here is a simple fact of what you get when you switch over to a true synthetic motor oil. A lubricant's film strength is the most crucial aspect that determines component protection from wear. This "film of lubricant" that keeps two moving parts from coming into direct contact experiences great stress, engine wear occurs when this "film of lubricant" shears off. This failure is extremely common with petroleum based motor oils as their film strength is only about 400 psi (pounds per square inch), while a true synthetic motor oil formulated by AMSOIL is rated at 3300 psi. Additionally a true synthetic will not loose its viscosity or break down under heavy stress and temperature extremes. Another side effect of petroleum motor oil is that they leave behind varnish, sludge and carbon as they break down under stress. These contaminants circulating within the engine and in between moving parts accelerates wear. The deposits also causes engine to go out of tolerance, valves to stick, blocking oil passage ways and the list goes on. We are your one stop source for world's best ultra premium synthetic motor oils and filtration products, which outperforms just about any other competing products like Mobil 1, Quaker State, Pennzoil, Castrol syntec, Royal Purple, Red Line, Motul and every other synthetic and conventional petroleum motor oil in the world. AMSOIL founder Albert J. Amatuzio initially served US forces as a jet fighter squadron commander for 25 years. Al gained knowledge and appreciation towards lubrication technology during this time of service as an award-winning jet fighter pilot. Al's reliance on the performance of the air crafts he commanded was based on his first hand knowledge & understanding. One of the crucial component that kept everything together was the lubrication technology used in these high performance jet's. And these lubricants were totally different from what rest of the world used. - Ability to significantly reduce friction between two moving parts, thus reducing component wear. - Ability to withstand extreme temperatures, while delivering stable & dependable protection. - Ability to operate under tremendous stress for extended periods of time without breaking down or shearing off its viscosity or chemically breaking down. Having appreciated aviation lubricants for over 2 decades, Al recognized its role in automotive engines would be invaluable. In the mid-1960s Al brought together some of the most recognized chemists in the lubrication industry to formulate the world's first synthetic motor oil for automotive application that will meet API requirements. In 1966 Al put his new oil to use in various vehicles in Minnesota's severe winter conditions. For the next few years Al, continued perfecting his technology through research & development. In 1970 Al formed his company and sold his synthetic motor oils under the brand AMMOIL. For marketing purposes Al changed the brand to AMZOIL in 1971. In 1972 AMZOIL received API certification and became the world's first synthetic motor oil to meet all of the API criteria (American Petroleum Institute). This new motor oil's performance was like no other oil in the automotive world, thus giving birth to a new multi-billion-dollar synthetic motor oil industry. In 1973 the brand was renamed again to its current name with the 'S'. AMSOIL literally turned around the science of lubrication technology, redefining the boundaries of performance & possibilities of what modern engines & machineries can do. Refer "Company of Firsts" section to learn more about AMSOIL's commitment and documented history of leadership and innovation. Lieutenant Colonel Albert J. Amatuzio formulated his first synthetic motor oil in 1966, but it was 1973 when AMSOIL products were introduced to the market place through the adoption of a sophisticated dealer network and multi-level-marketing plan that propelled the brand to where it is today. Head quartered in Superior, WI, AMSOIL now operates 11 distribution centers strategically located across US for quick shipments of products to our valuable customers & dealers. Products can also be picked up directly from the warehouse. In 1975, AMSOIL registered its first Canadian dealer. From this inception, more Canadian dealers joined the company. Rudi & Leanna Fast was the first dealer to reach "Direct Jobber" status in Canada. In 1978 AMSOIL conducted sales meetings in 6 locations across Canada. The same year, AMSOIL released bi-lingual packaging showing further commitment to Canadian dealers. Following this, our first Canadian warehouse was opened in Winnipeg, Manitoba. During the period of 1984-85, as the Canadian sales & dealer network grew, AMSOIL opened larger distribution centre facilities in Edmonton, Alberta & Mississauga, Ontario. Since Edmonton, Alberta facility served as the Western Canadian distribution centre, Winnipeg, Manitoba warehouse was closed. AMSOIL opened its doors to Canadian dealers just 2 years after commencing operations in the US, showcasing AMSOIL's commitment to Canadian customers and dealers. 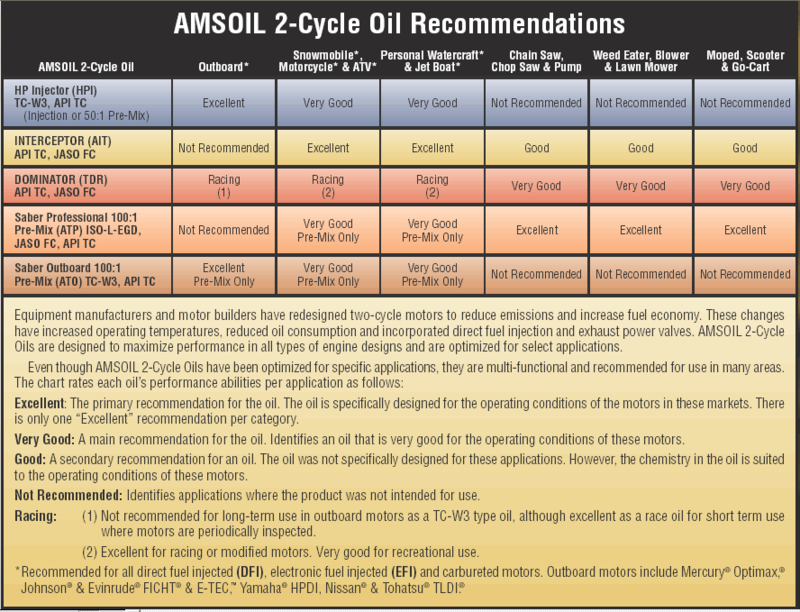 Customers buy AMSOIL products for 2 reasons. The first for its ability to perform and protect. The second for its ability to save (both short and long term). "Extended drain interval" technology simply translates to source reduction. Fewer oil changes means fewer dollars spent on oil, filter and labour while achieving excellent performance, wear protection and fuel economy. AMSOIL's superior technology allows easier engine startup's during severely cold winter days and offers peak performance during extremely hot summer days & desert climates. Continued use of our technology increases equipment life. Engines, transmissions, transfer cases and differentials last much longer, saving thousands in equipment replacement and or through increased equipment resale value. Studies estimate savings of over $100/year in oil cost, when AMSOIL extended drain motor oil is used in a vehicle with 5 quart system that covers 25,000 miles/year. Customers who drive even half this distance, will still save with AMSOIL compared to the cost of conventional petroleum motor oil changes. Automotive fuel consumption is an important consideration as each season is encountered with relentless fuel price increase without any indication of it ever coming down. This factor alone has put a major strain on our nations economy and businesses that extensively rely on automotive logistics. Amidst this, there is a way to gain extra miles to the gallon through reducing internal friction. This is not a myth or marketing hype, but a proven fact since the very inception of the company since the 1970's.